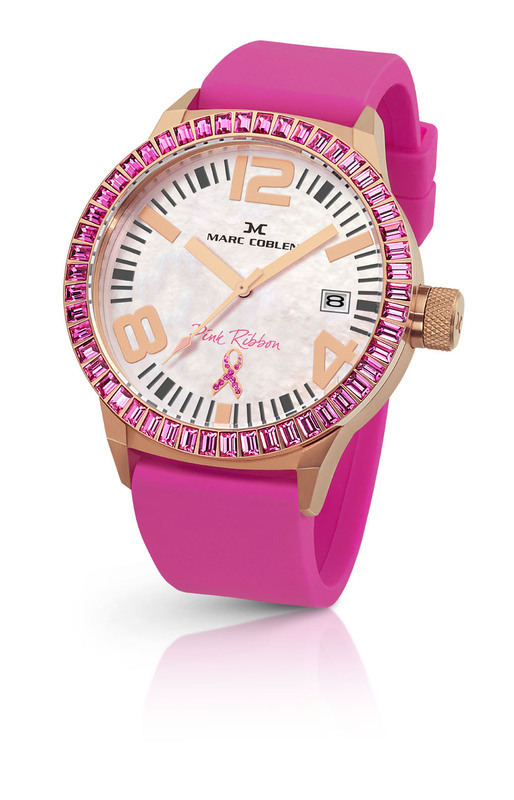 Marc Coblen Pink Ribbon Watch - $375 - a 45 mm, hands movement, Rose Gold watch. With a Pink Mother of Pearl dial and Swarovski crystals. For each watch sold, Marc Coblen Canada will donate $20 to the Canadian Breast Cancer Foundation. Available now at jewellery and watch stores across Canada - Call 1-800-363-0178 for detailed availability information.